ScottCare was proud to share this popular program as a new way to inspire patients toward healthier living through music. 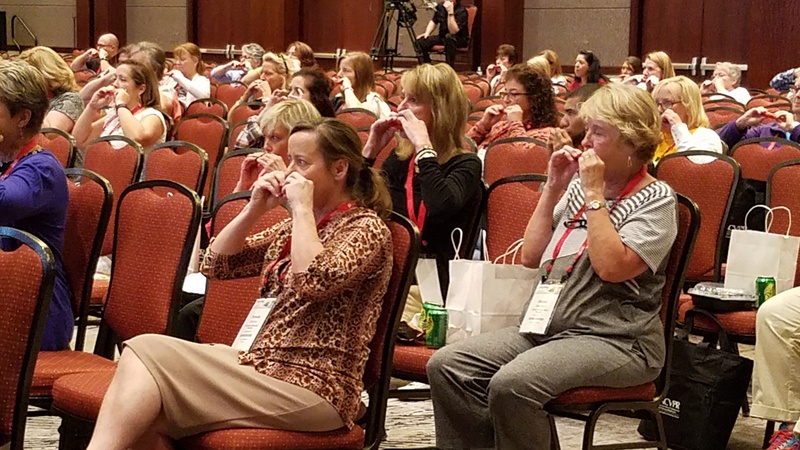 The session introduced simple and proven harmonica exercises that can be used to teach patients pursed lip and abdominal breathing techniques for improved respiratory function and pulmonary hygiene. Participants of both cardiac and pulmonary programs learned new skills to apply to their everyday practice and had a great time learning to play a few simple songs on the harmonica. We are so grateful to Larry Vesely, RRT of Indiana University Health, Cardiopulmonary Rehab at Bloomington Hospita, for his unparalleled dedication to sharing this information with AACVPR attendees. Fill out the form to your right to access the slide deck from Larry's session. we invite you to view some of the videos that Mr. Vesely incorporated into his presentation. You can easily order copies of Harmonicas for Health: A Guide to Breathing Better by Mary Jane Gormley and Larry Vesely. Each guide is $6.00. Download the order form. Submit the Form Below to Download the Session Slides for "Harmonicas for Health"